My desire to replace my paper coffee filters got this whole Mission started . . . This month we took on a mission that seemed, on the surface, to be pretty simple: find those little eco-unfriendly things in your life, and “green” them. But sometimes the little things prove to be bigger hurdles than we’d imagined, and finding solutions can take some creativity! I don’t know about you, but I had a lot of fun with this mission. 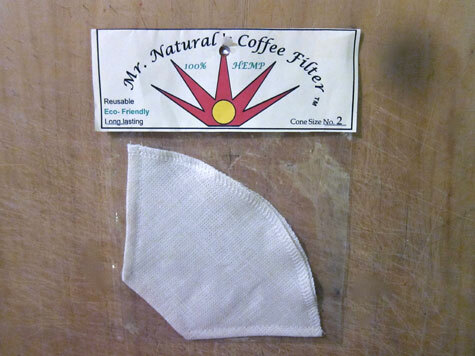 I replaced my paper coffee filters with a hemp reusable version (LOVE!). I looked into replacing my razor, since the enormous pack that I bought at Costco like 5 years ago, is about to finally run out. I’m considering going the Preserve route (same as my toothbrushes! this company is pretty spectacular). I also noticed that when I get little sample coffees at Trader Joe’s, I absent-mindedly (ALWAYS-GAH!) grab a little stir stick to mix in my agave. Otherwise the sweetness just sits at the bottom! So, I started keeping a little stir stick in my Ergo baby carrier (which is what I’m always wearing when I’m there), and now I re-use the same little stir stick over and over and over. Um, talk about little things, right!? But you know, that’s the sort of stuff that adds up. I’m also going to try keeping and reusing the sample cup itself! Mostly, I spent the month recommitting myself to some of my old intentions that have fallen by the wayside. I’m back to line drying lots of my laundry. I’m totally back on family cloth, and I feel really good about that one. And now I’m biking everywhere . . . I think this was a really great Mission with so much adaptability and room for interpretation, which is why I can’t wait to hear what you guys did with it! So tell me tell me, what little things did you address in your life this month? Leave it in the comments! Just a reminder that next Monday we kick off our very first Bonzai Book Club, instead of another Monday Monthly Mission. We’ll be reading Just Food: Where Locavores Get It Wrong And How We Can Truly Eat Responsibly, so make sure to pick up your copy this weekend! I’m so excited!!! I’ve done well re-using old plastic storage bags and not buying any additional ones. But mostly that’s because I was on an almost three week vacation; so I sort of cheated. While on the road, though, I tried to pay attention to the little things. My biggest pet peeve (with both myself and others) is disposable coffee cups. So I made sure to bring my favorite not-a-cup on our trip, and I kept that sucker filled up, no matter what I was drinking! We also made an effort while at restaurants to request that they *not* bring Nina whatever plastic kid-friendly cartoony cup they keep on hand for kiddos and that they just bring her a normal glass to the table. And, Nina got to bring along her Spiderman thermos to use in the car and at hotels. This was a fabulous mission, because it is so easy to lose sight of all the little things that really do add up! I have LOVED this month. I have used mason jars for storage, including taking food to work. I only use cloth towels for cleaning, dishes, and napkins. I hand wash my dishes now to save water. I can and freeze left overs & produce for later use, I’m in the process of switching to a diva cup, no lotion,….I could go on and on. Like I said, I have LOVED this month! I planned on getting a Diva Cup, but since the little pharmacy where I go only carries Moon Cups, I got one of those instead cause they’re basically the same haha. I’m excited to try it! I’m still jotting down ideas for when I move into my new house, I’m super stoked about that too. I think it’s a really big issue that will take a lot of time to try and deal with. I would love it if everyone only ate local and seasonal food, and I try to whenever possible, and it would be great if we made our communities and those all over the world be self-sustaining, but it’s a bigger issue than just going to the farmer’s market and only eating that, I think. I dunno, it’s complicated. I feel silly talking about it, like I’m not a proper hippie or something haha. This looks so interesting, I really would love to read it! I’ll be on the look out! I switched to loose-leaf tea in a teapot, instead of teabags. Not only does it save the paper, staple, string and cardboard from each cup of tea, but it tastes better! I’ve also been buying all my produce from a local market, and bringing my own box there to fill up each week. I switched to milk in a compostable chalk bag too, instead of plastic bottles. I’ve almost finished my list of DIY beauty products recipes. Sorry, I’ve had mid-year exams!! I got crafty making an assortment of different reusable cloths. By the way, old soft PJs make excellent face wash cloths – sooo soft! I imagine they’d be great for little ones also. We’ve also been setting up a grey water system from the washing machine, for the garden. Even though it’s a little slapdash/make do because we rent so we can’t do anything major, and are less than wealty students, the water is a precious resource and we live in the driest state in the driest country in the world, so it’s pretty profound! @Annie: Love hearing about other peoples’ grey water set ups! We sort of have one in place, but whatever grey water we aren’t able to collect (or that Nina dumps down the drain) goes back into our septic tank and drain field. But as she gets older, I hope to have a very efficient grey water system in place! We’ve been doing some family cloth too, and I even pitched the idea to my mom, who is looking to save money on little things. We keep cloth baby wipes in the bathroom near Sebastian’s little potty so frequently I just snag one of those for myself and toss it into the diaper pail. Once you get hooked on cloth, paper feels gross and messy. Love my Preserve razor! It works really well & the blades last a long time. I encourage everyone to use cloth…my husband & I haven’t used paper towels or paper napkins in years. It took a little getting used to, but we don’t miss them at all (and our house is just as clean)! 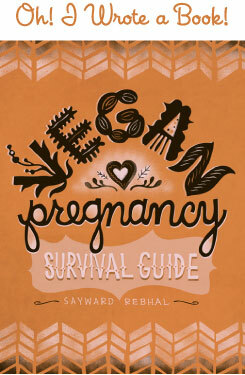 This month, with our 1st baby on the way in September, I’ve been trying to really narrow down the essentials and not get caught up in the baby-stuff craze. We want only what we need, but sometimes it’s hard to know what you need if you are a first time momma! Plus, most people are so brainwashed into thinking you NEED all these baby things that you really don’t. Anyway, we are going yard saling and finding some sweet things ($3.00 highchair!) and going the cloth diaper route. Your posts about baby stuff have been really informative–thanks! We’ve used cloth rags and mainly no paper towels for years… but sorry, the family cloth thing is just beyond us. I get it but… I’ll save the world on other fronts, thanks. I also loved this monthly mission! My husband built us a composting bin that spins and all. I had been throwing most the compost over the deck, so this is great. Hubby also built a rain barrel. I purchased all the ingredients for our homemade laundry detergent and dish soap, and I will tackle that project this week. I’m also working on the no poo business and have become fully committed to buying secondhand. I have been using mason jars for toting my smoothie to school then using it for water for the rest of the day which I really hope sparks a revolution for all those students that buy plastic bottles and disposable coffee cups every day! Thanks to everyone for the motivation. I starting wading into family cloth… which I love… EXCEPT that when I went to wash my squares they all frayed and unraveled. It is a mess. How do you prevent this? I noticed on your post about it that you used some zig zaggy scissors… does this help? Luckily I still have plenty of ripped-sheet left, so I can totally re-do ‘em, but I REALLY don’t feel like hemming each little square. Yes! Rain barrel! I could probably get my husband on board with a grey-water system as well, once he has more time to figure one out. He likes plumbing and doesn’t like to pay to water our garden in the summer. :-P If you do end up getting/making a rain barrel, check your local bottling plants to see if you can get used barrels. We got two 55-gallon barrels from the Pepsi plant for like… 10 dollars each. Converting them into functional rain barrels doesn’t cost much after that, but buying a rain barrel seems to run at least $100. Eeeek! I still need to start taking my straws with me when I go out tho. @ Meghan – Yes! The zig-zag scissors are pinking shears and you can nab them at any sewing store. They will totally prevent the fraying. No hemming required, we’re much too busy, harumph!